Radio-, televisio- ja verkkojournalisti David Mawby luennoi Turun pääkirjaston musiikkiosastolla 22.3. klo 18 Moody Blues –yhtyeen varhaistuotannosta ja palauttaa ihmisten mieleen kuinka lahjakkaita muusikoita yhtyeessä soittaakaan. Tapahtumassa kuunnellaan myös näytteitä bändin tuotannosta. The Moody Blues were Britain’s masters of both dreamy lyrics and mellotronic vibes in the days of early psychedelia. They took their fans on musical astral journeys with a series of concept albums in the late sixties and early seventies. Although initially coming to fame with a soul classic Go Now, the Moodies reformed in 1967 and subsequently teamed up with the London Festival Orchestra to conceive their first masterpiece Days of Future Passed. Following this they went to even greater musical heights with art and progressive rock. Lyrically the Moodies reflected the weekend hippie näivity of the times. 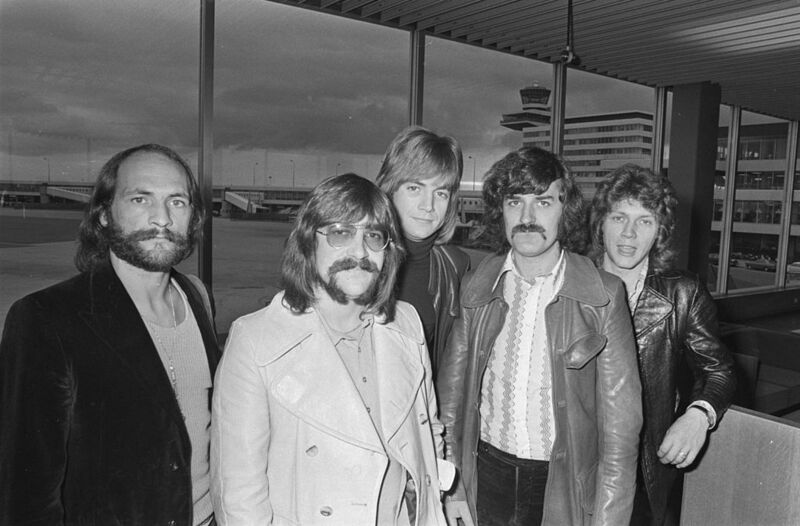 David Mawby looks back at the early days of the Moody Blues and reminds listeners of a band that included these greatly under-rated talents of Justin Haywood, Mike Pinder, Ray Thomas, John Lodge, Graeme Edge and others. 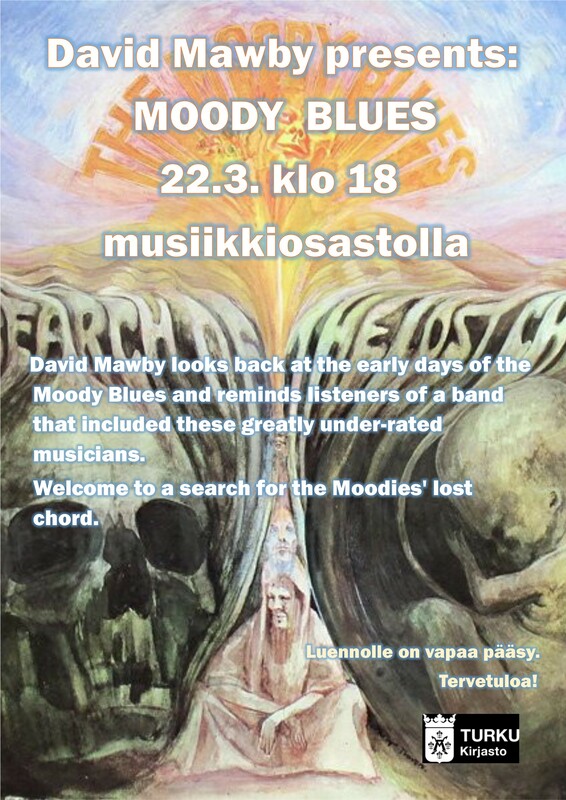 Welcome to a search for the Moodies’ lost chord on March, 22nd.2018 at the music department of Turku City Library.